Ruby Rose’s New Back Tattoo Has All the Colors of the Rainbow And Then, Like, 50 more. 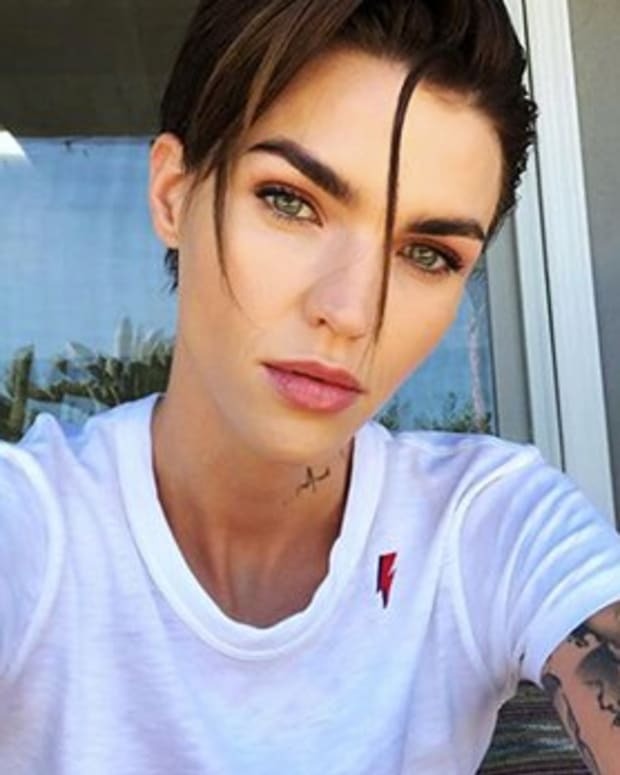 This new tattoo on Ruby Rose’s back joins dozens and dozens (and dozens) of other pieces she has inked all over her body, including a tattoo of Leonardo from the Teenage Mutant NinjaTurtles on her arm, the phrase “…And breathe me” on her neck, a vintage-style skeleton key tattoo on her elbow, and a tattoo scrawled across her knuckles that reads “JUST LOVE.” During a 2010 interview with Inked Magazine, Rose admitted that she had lost count of her tattoos, but that she estimated the number to be somewhere in the 30s. 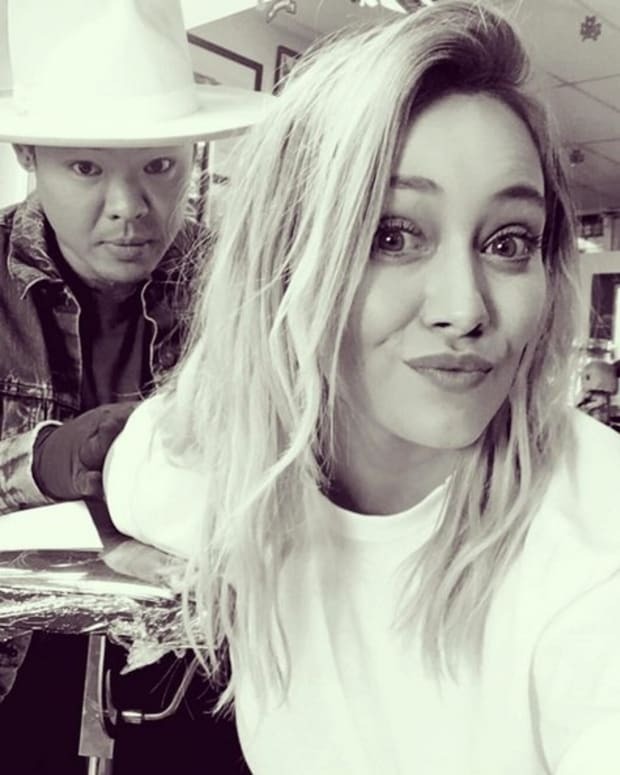 In 2015, the actress told Conan O’Brien that her ink count had reached the 60s. 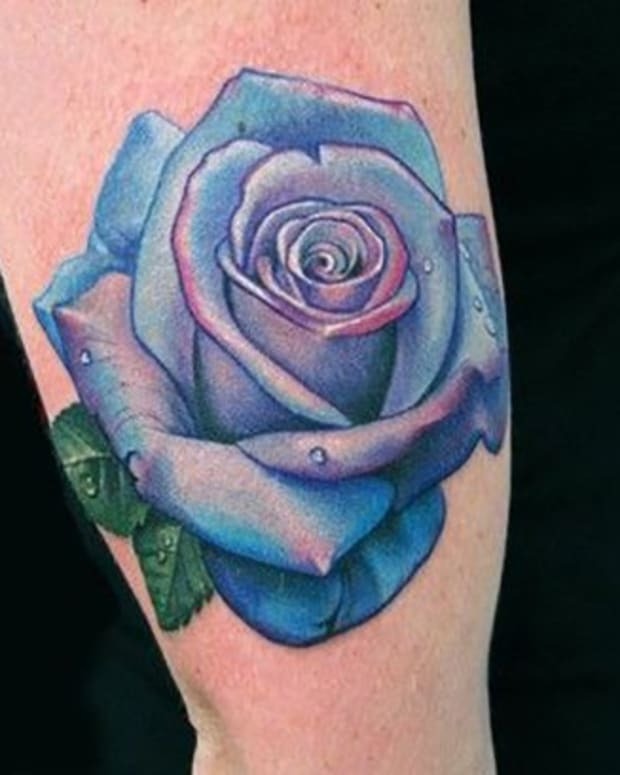 Ruby Rose may have been joking when she tried to sell her new back tattoo as a Home Depot paint color chart, but the ink actually does feature a wide assortment of colors one may want to include in a tattoo, from shades of green and blue to bright hues of purple, yellow and orange, and even black, although there is actually an infinite variety of colors that can be used in tattooing. 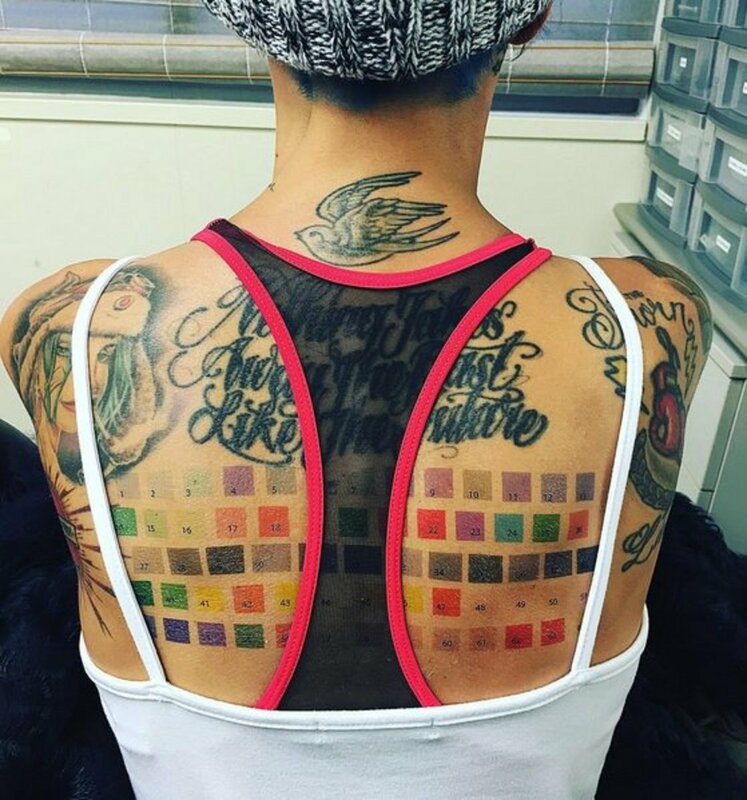 So, not only is Ruby Rose’s back tattoo appealing to the eye, it’s also very practical, and if the whole actress thing doesn’t work out for her, she can always start booking gigs as a life-sized paint swatch. See Ruby Rose&apos;s EXCLUSIVE Inked Shoot here. 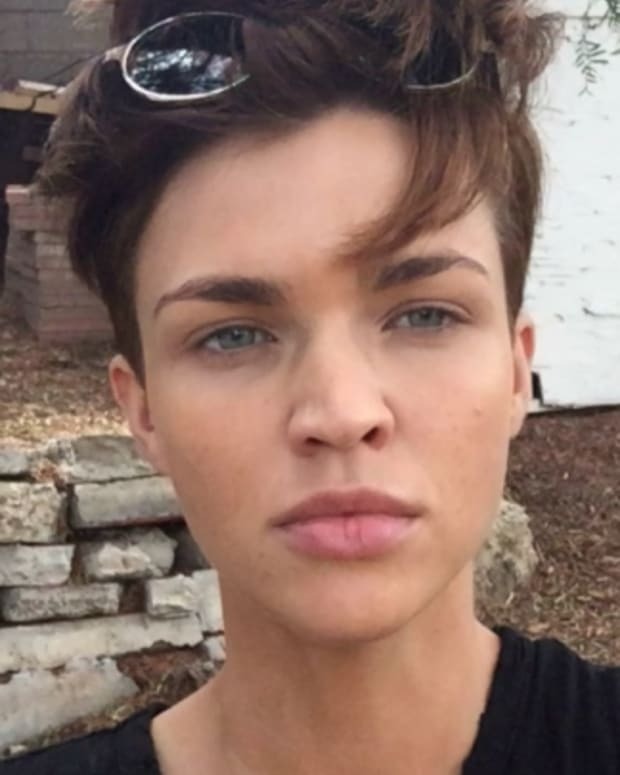 Ruby Rose cast as Lesbian Batwoman!